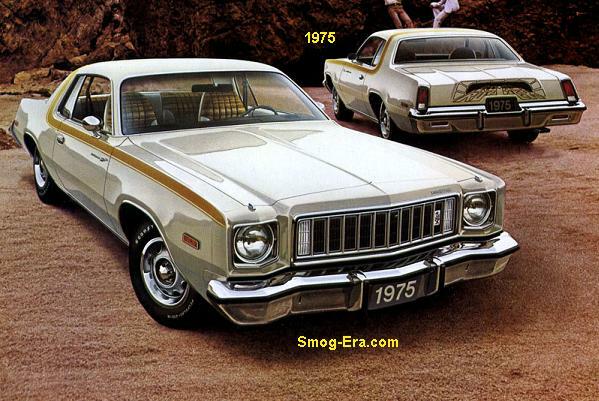 The smog-era Road Runner was similar to AMC’s AMX of the smog-era. Well, not literally, but the way it was bounced from model to model as essentially a trim package. Each were based on several model variations in a short time. In the Road Runner’s case, it was on the Satellite Sebring, then the Fury, and finally the Volare. See the AMC AMX area for more info on that car. 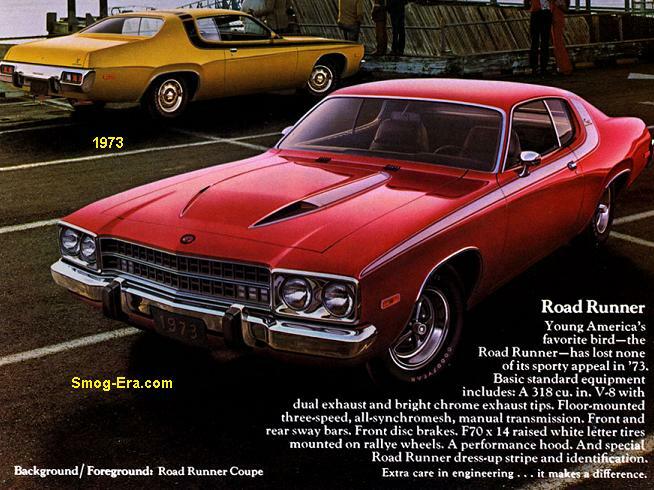 In 1973, Road Runner added the following equipment to a Satellite Sebring body… chrome exhaust tips, accent striping, front and rear sway bars, heavy duty springs, front disc brakes, performance style hood, Rallye instrument cluster, and F70x14 raised letter tires. Let’s not forget about the lavender ‘beep-beep’ horn. Still considered options were the ‘Tuff’ steering wheel, 15 inch road wheels/tires, and a tachometer gauge. Standard power was provided by a 318 CID 2bbl V8 with dual exhaust. The standard transmission was a floor-shifted 3-speed manual. 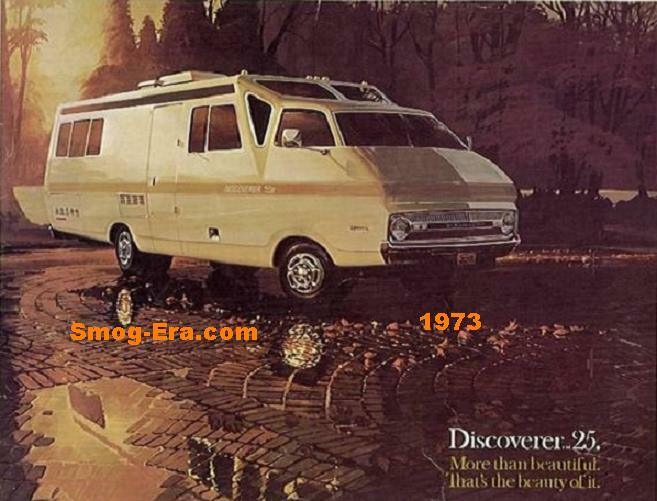 The optional engines were a 340 CID 4bbl V8 with dual exhaust, a 400 CID 4bbl V8 with dual exhaust, and 440 CID 4bbl V8 with dual exhaust. 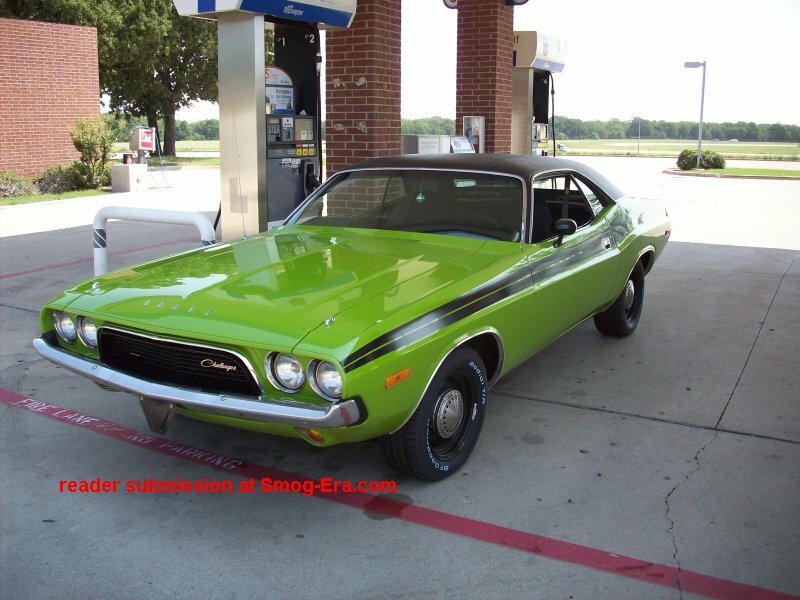 Two transmissions were optional and were a 4-speed manual, which was not available with the 440 V8, or a 3-speed 727 automatic, available on all. The 1974 Road Runner was essentially a carry-over car. Engines, transmissions and options were generally the same, seeing how it was the last year of this generation. 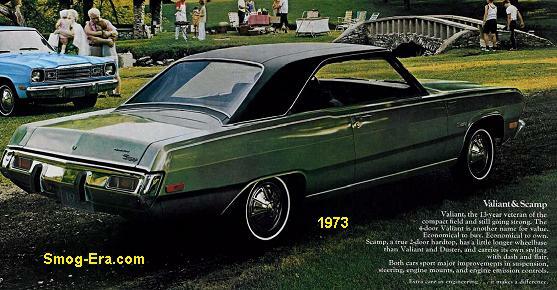 For 1975, the Satellite Sebring body style was discontinued, so the name moved to the newly downsized B-body Fury. Generally, added equipment was the same as the ’73’/’74 cars. Standard tires got bigger as they were now G70x14 in size. Optional were GR70x15 tires/wheels. Disc brake swere standard up front with 10 inch drums out back, though optional were 11 inch drums. A smattering of engine choices were offered with the 1975 R/R. 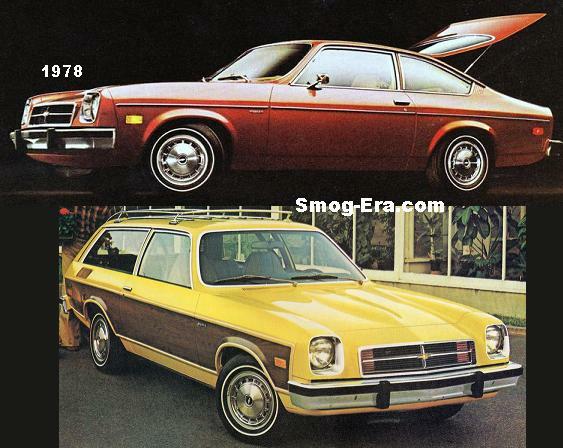 There was a choice between a 318 CID 2bbl V8 making 150hp, a 318 CID 2bbl CA-Emissions V8 making 135hp, a 360 CID 2bbl V8 making 180hp, a 360 CID 4bbl CA-Emissions V8 making 190hp, a 400 CID 2bbl V8 with single exhaust making 165hp, a 400 CID 4bbl V8 with single exhaust making 190hp, or a 400 CID 4bbl V8 with dual exhaust that maxed out at 230hp. An interesting option was available this year; interesting because catalytic converters and unleaded fuel were mandatory, or so we thought. The option allowed you to check off Code N91 with the 318 Federal-Emissions engine. This option would delete the catalytic converter and fuel inlet restrictor. They were then replaced with an A.I.R. pump that shot air into the exhaust stream. Apparently, this was enough to satisfy the E.P.A. requirements of the year. The only manual transmission was a 3-speed column-shifted unit available with the 318 V8 only. A 3-speed 904 automatic was optional with the 318 but standard on some lightly-optioned 360 cars. For the heavier 360 cars and all 400s, a 3-speed 727 automatic was standard. 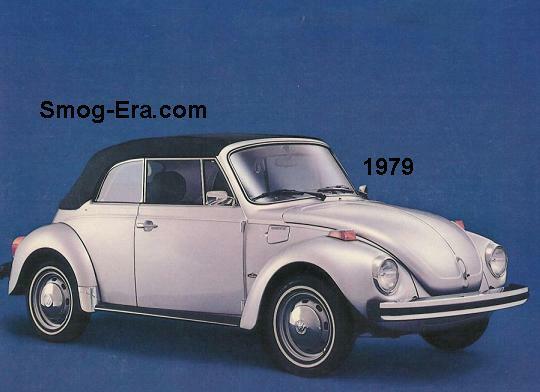 In 1976, the name was moved to the brand new F-body Volare line. 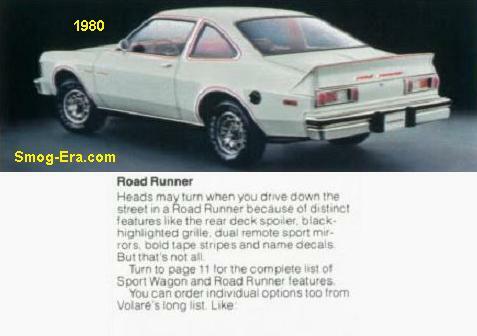 The “Road Runner” name now was marketed more as a Volare option package paying tribute to the Road Runners of the past. Badges with that “V” word were prominent on this one. This was Plymouth’s answer to the Dodge Aspen R/T and the package got you striping, E70x14 raised letter tires, heavier suspension and even the same ‘beep beep’ horn of early Roadrunners. A Super Pak option package was available on top of the basic R/R. It added spoilers and flares all over the place. Even though this kind of treatment can look cheesy, it was a good look on the R/R. In the R/R’s first F-body year, the 318 CID 2bbl V8 was standard and made 150hp. A 360 CID 2bbl V8 was optional and made 170hp. For gear-changing duties were a choice of 3-speed manual, 4-speed manual, or 3-speed automatic. With the 360 engine, you could only get the automatic. 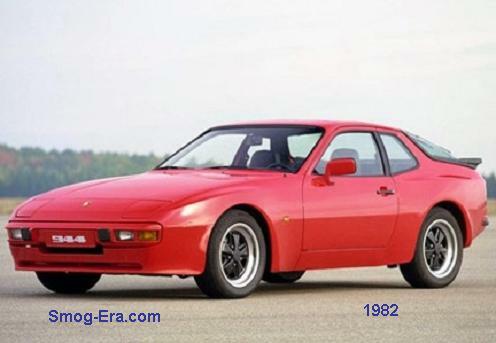 The same engines were offered for 1977, but the 318 dropped to 145hp and the 360 went down to 155hp. A 360 CID 4bbl V8 was added that made 175hp. 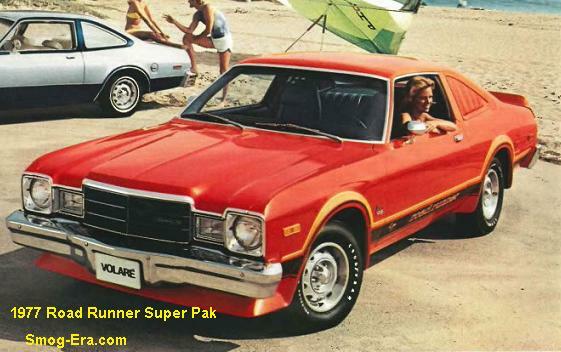 Newsworthy this year was the addition of the Sun Runner package which added a sunroof or the t-top roof. For 1978, the 318 dropped in power again to 140hp. Both 360s kept the previous year power ratings of 155hp and 170hp. In 1979, economical slant sixes were now available. Standard was a 225 CID 1bbl S6 making 100hp, with a 225 CID 2bbl S6 being optional with at 110hp. For V8 power, you could get the same ol’ 318 2bbl, now at 135hp or the 360 4bbl, now at 195hp. The 360 2bbl was gone. 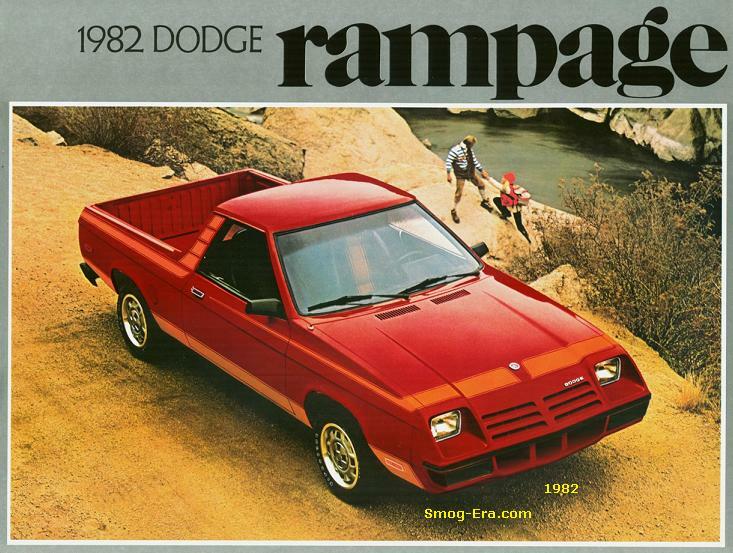 For 1980, the car received a nose update that gave the car rectangular headlights plus a more squared-off appearance. While some might consider these the best looking of the Volare-Road Runners, performance was at its lowest. The sole engines were now the 225 1bbl at 95hp, and the 318 2bbl at 120hp, yes just 120! It’s unfortunate that the Road Runner’s last call was so low in the power-department. 1980 being the last year of the Road Runner name, these may offer future potential as collectible cars, but we’re not quite there yet. For the most-desirable Volare-based ‘runners, go back one year previous to the 1979 360 4bbl examples being the best performers.